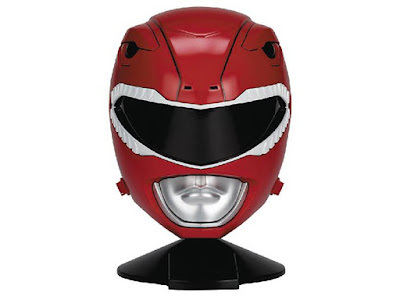 Been wishing for a real life, Mighty Morphin' Power Rangers Red Ranger helmet to display or wear but don't have the time and resources to make or buy one? Well the Legacy Series is happy to give you their newest product: the 1:1 Legacy Red Ranger helmet! Yes Power Ranger fans, for the hefty price of $109.99 you can have your own wearable Red Ranger helmet ready for your cosplay needs or just for display to show off to your friends. The 1:1 Legacy Red Ranger Helmet will be released on November 2016. They better make 2017's version of Red Ranger helmet! They better do it or...what? How will you react if they don't? I will ask your mom to do it for me then.